Come speed dating in Bournemouth and you will see it is great fun! When you try speed dating in Bournemouth, you will certainly enjoy yourself and you may well find that special someone too. It is not only enjoyable but it gives you the chance to chat to a number of people in your age range in a relaxed, safe environment. You will definitely hit it off with some of these people, which may well develop into a successful long term relationship for you. Checking availability for an event in your age range is just a click or two away. Thought of as a cornerstone in Bournemouth’s bar and nightlife scene since the turn of the millennium, Bar So is the perfect place to find love in the heart of Dorset. Just minutes from Bournemouth’s array of gorgeous beaches, it’s clear why visitors and locals alike are attracted to this fabulous venue. Winning not once, but five times, the award for Bournemouth’s Best Night Out, our decision to host our excellent Bournemouth speed dating events was as easy as 1,2,3! With an enviable cocktail bar, two ultra large outdoor terraces, beautiful atrium skylights and an impressive Funktion One sound system, this contemporary bar, club and restaurant in unrivalled when it comes to style and class. The venue’s large dance floor is also perfect for dancing the night away with a wealth of gorgeous singles, all out for a fun filled evening, without exception! With all of this in mind, you know what you’re going to get with an ideally situated Bournemouth venue- a great time. 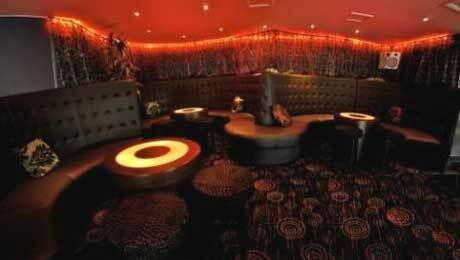 This modern bar is spread over multiple floors and serves a fantastic range of drinks and cocktails for all speed daters to enjoy throughout the evening. 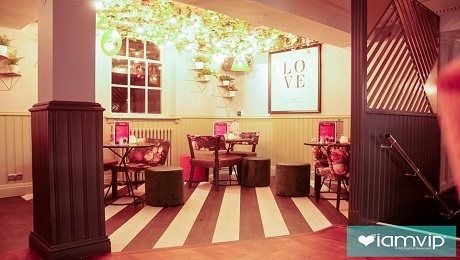 Combining ambient lighting, modern yet comfortable decor and furnishing and a chilled out atmosphere, Bar So is the perfect place to meet up with other singles from Bournemouth and the surrounding area to chat, flirt and mingle to your heart’s desire. It’s stylish, spacious interior and welcoming staff working alongside our experienced speed dating hosts guarantees a relaxed venue for you to enjoy your evening of fun. So, what are you waiting for? Whether you live, work or socialise in and around Bournemouth and Poole, Slow Dating offers you fantastic events. We have been running regular speed dating in Bournemouth evenings since way back in 2004 and like to think in that time we have developed a fabulous reputation. Most people who give Speed Dating a go are successful in getting another date with someone they really want to see again, the first step to a successful long term relationship. The evening is fun, and you may well find that special someone too. The evening will be fun, but doing all that talking can be exhausting. You may well find that a drink or two will help you relax, and loosen the tongue. At our Bournemouth speeddating venue we ensure that the bar is well stocked and that there are sufficient bar staff ready to serve you! Come Speed dating in Bournemouth and you will definitely have a fun night out. You will get to meet 12-15 professional, fun, interesting and hopefully good looking people who live near you. Most people who give it a go are successful in getting another date with someone they really want to see again, on the first step to a successful long term relationship. Bournemouth speed dating is not only fun but you may well find that special someone too. If you do travel up to the capital on a regular basis you may wish to consider checking out our Speed Dating in London sessions.